WHO NEEDS KERRY IF HAMAS SIGNED AN AGREEMENT WITH ISRAEL …. The very fact that Hamas and Fatah signed a deal strengthens Israel’s demand for rigid and all-encompassing security arrangements to be set in place. The agreement will also allow Israel to claim Abbas is responsible for the handy work of Hamas and unruly terror organizations, and if he cannot control them he will prove that he lacks the capability to implement any agreement reached with Israel. Such a situation will undoubtedly be manipulated to the political benefit of the Israeli right. The unity agreement signed Wednesday is a lifeline for the Islamist organization struggling to ruling Gaza, and poses a threat to the development in the West Bank. When one examines the articles of the reconciliation agreement between Hamas and Fatah, one can quickly understand that this is an old soup that has been reheated. The agreement the two sides signed was to implement previous agreements on internal Palestinian unity. The only significant difference to grant the current deal a modicum of gravitas is the rigid timeframe it stipulates: Five weeks to the formation of an interim government, and legislative elections six months after. But the agreements Fatah and Hamas reached in Cairo and Doha also set a timeframe – one that was never implemented. A further sign that this is a tactical move, at least for Palestinian President Mahmoud Abbas, is that the agreement fails to include the release of security prisoners held by the respective parties in the Gaza Strip (Hamas) and the West Bank (Fatah). The deal also fails to outline which principles the Palestinian security bodies of both Hamas and the PA would operate; it is also unclear how these two bodies plan to merge their respective governing administrations. Those searching for additional signs that Abbas is hedging his bet may notice that, despite a laconic statement that the deal is not incongruent with peace talks, the Palestinian leader has made little public comment on its content. Only Hamas officials Ismail Haniyeh and Moussa Abu Marzook have elaborated on the unity agreement. It is no wonder, because Hamas is the agreement’s biggest winner. The radical Islamist group controlling Gaza is currently facing a severe economic and political crisis, and is unable to meet the needs of the Strip’s 1.5 million residents. After it turned its back on Syria and Iran, Hamas also lost Egyptian support following the ascent of the current regime there, which views it as an ally of the Muslim Brotherhood and as a group that threatens Egyptian security. As such, General al-Sisi’s forces are actively destroying tunnel after tunnel connecting Gaza to Egypt, and only occasionally open the Rafah crossing. The unity deal signed Wednesday gives Hamas international legitimacy, which could allow it to receive aid and donations to help it extract itself from the crippling crisis threatening both its rule and the wellbeing of Gaza’s people. Today, even Turkey and Qatar are fulfilling their pledge of sending aid to Gaza. But even more importantly for Hamas, the deal makes Abbas the person responsible for the welfare of Gaza’s impoverished residents. The PA president is already footing the bill for Gaza’s gas stations – Israel, of course, supplies the gas itself. Abbas has also been paying the wages of Fatah-affiliated teachers in Gaza, who have been sitting idle since 2007. But now Abbas is responsible for everyone. He will have to figure out how to raise funds from the Americans and Europeans – funds that will have to reach Hamas and other Gaza-based institutions. Another perk for Hamas is that they and other Gaza groups such as Islamic Jihad will be offered membership in the Palestinian Liberation Organization, a move that could allow Hamas to take over the organization that is the legal representation of the Palestinian people. It is important to bear in mind that Abbas derives most of his legitimacy from the fact that he is the leader of the PLO. 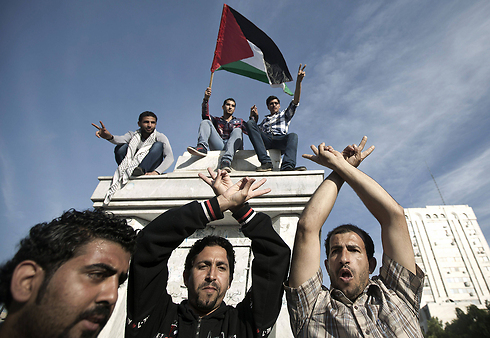 If Hamas manages to seize power of the organization, it will take on a new, militant tone. In contrast, Abbas and his Fatah party do not get that much out of this newfound unity. They get brownie points for actually reaching the deal, which is highly popular in the West Bank and the refugee camps. Abbas also gains an additional whip to wave at the Israelis and Americans regarding the renewal of peace talks. One should note that, despite his statement on the lack of incongruence between the Hamas-Fatah unity and the ongoing Israeli-Palestinian talks, if the conditions Abbas recently laid out for extending negotiations with Israel are met, he can still scupper this deal with Hamas just as he has done before. Conversely, should Israel fail to meet his demands, he can blame them and the Americans for pushing him into the arms of Hamas, Islamic Jihad and the Popular Resistance Committees. This aside, he has more to lose than to gain. 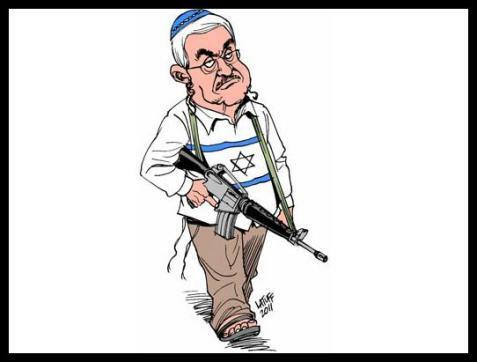 Abbas has good reason to be displeased with the agreement. He knows that any thaw in ties between him, Hamas and Islamic Jihad will be a cause for concern around the world, specifically in Egypt and Saudi Arabia, which are increasingly hostile towards the Muslim Brotherhood and their ilk. But above all, the deal with Hamas poses a real threat to Fatah’s rule in the West Bank. Hamas could take over and drag the West Bank into a violent conflict with Israel, thus exporting the economic turmoil currently plaguing Gaza to the West Bank. Israel has nothing to be sorry about. The deal between Hamas and Fatah gives Prime Minister Benjamin Netanyahu and Defense Minister Moshe Ya’alon a PR win that can be used to paint Abbas and his men as terrorists in sheep’s clothing – a far cry from the dovish peaceniks they claim to be. The Hamas-Fatah merger goes a long way to giving weight to this claim. In the meantime, the White House has taken an intriguing position, for it appears willing to grant Hamas indirect and roundabout legitimacy, on condition that the unity agreement does not hinder continued talks between Israel and the Palestinians. The unified Palestinian government, the Americans say, will accept the principles of non-violence and recognition of Israel, as well as previous agreements, and thus Hamas will be saved from being forced to directly accept these conditions. But the Americans have added one more demand, which is likely to tie Hamas and Abbas in knots, for the unified Palestinian government will have to actually make good on these conditions. Words will not be enough, and rocket fire will absolutely not do. And so Israel can notch up another win. If the deal is actualized, Abbas will become personally responsible for every rocket fired from Gaza or bomb that goes off in Israel or the West Bank. This will reinforce Israel’s security demands as part of the framework deal being hatched, and allow Netanyahu and Ya’alon to keep elaborating on security demands. Israel’s call to cancel the scheduled meeting between peace negotiators is part of a counter-measure to apply pressure to the US and Palestinians, and place the onus of the potential failure of the talks on Abbas, thereby exonerating itself. Everyone gets to play the blame game. So while it seems that the unity deal appears signed and ready to go, there is no certainty that Abbas will actually follow through. On the other hand, it’s safe to assume that Hamas will be more than willing to make good on its part of the bargain, should its minimal demands be met. It’s fair to say that the implementation of the agreement hinges one thing – if Israel and the Palestinians reach a deal to extend talks. If a deal is reached, then the unity agreement will evaporate as quickly as it came together. If no such deal is reached, Abbas will continue to work with Hamas until it all implodes, yet again. You’d think past showes us at least anything, but that’s so rare. Hate all you want but the world changes rapidly, and we have no control whatsoever over it. E.g., imagine Barack had enough balls to put Russian bear to his place, but it seems like it’s not happening, welcome world war.